A deck of unparalleled quality with a heart of timeless elegance. Scroll to learn more or pre-order here. 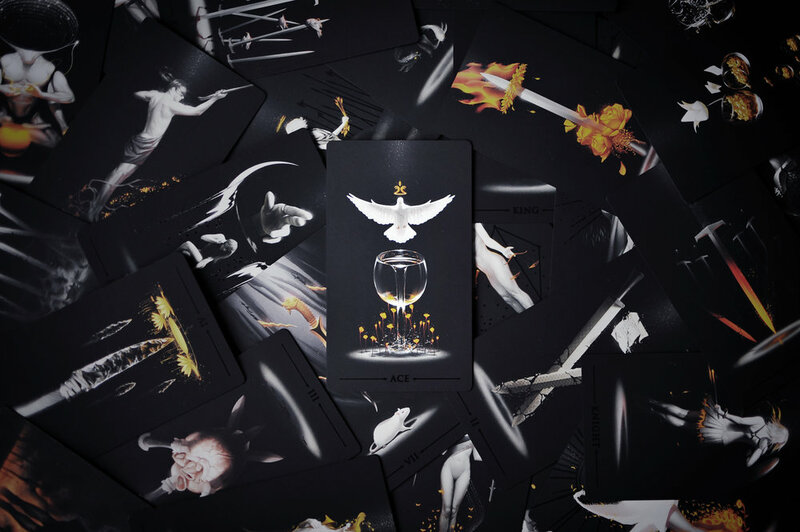 TrueBlack was conceived as a timeless tarot. that lasts a lifetime and speaks of many more. Illustrated in a style that refuses to be placed in any specific era or time, each card emerges from the darkness a story in itself, embodied in a painting that is both ancient and contemporary. Core to the concept of TrueBlack is the interconnectedness of all, embodied in the stars and skies shared by humanity through all lands and epochs. 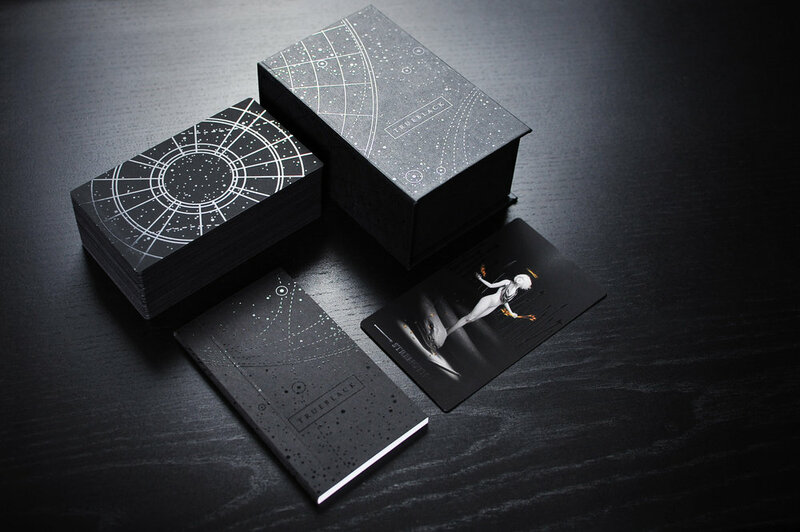 Each box, booklet, and card back is adorned with maps of the heavens. 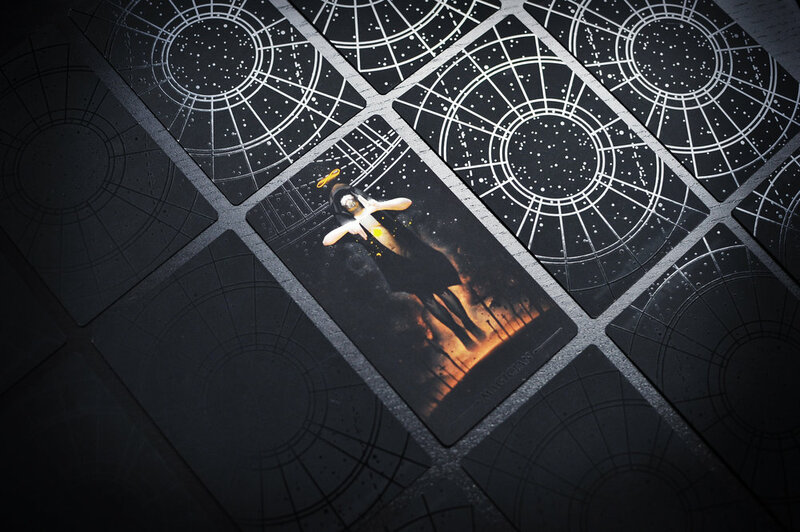 Every card back features a black foil starmap, and every card title is detailed in a glossy finish. 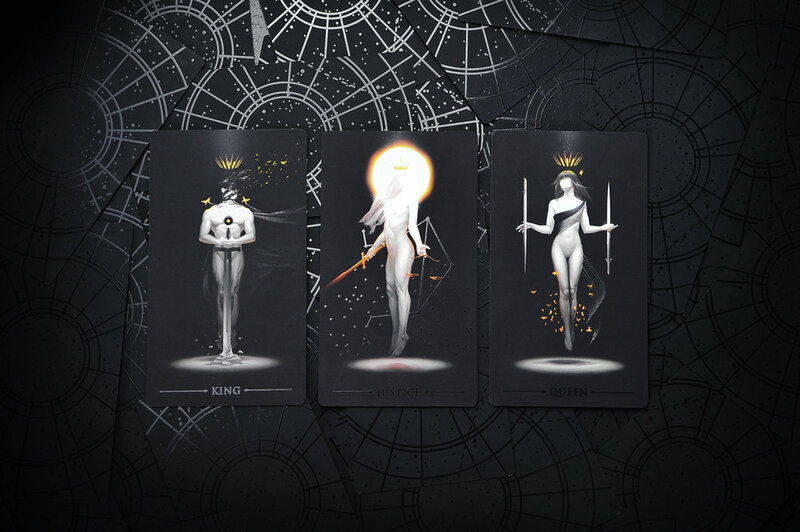 All 22 Major Arcana cards feature an individual and distinctive additional gloss design, specifically illustrated to complement the card. Exceptionally high-end printing and manufacturing methods result in a card that is surprisingly scratch resistant, impervious to cracked or chipped edges, and feel as velvety-soft as a rose petal. A timeless tarot should last. 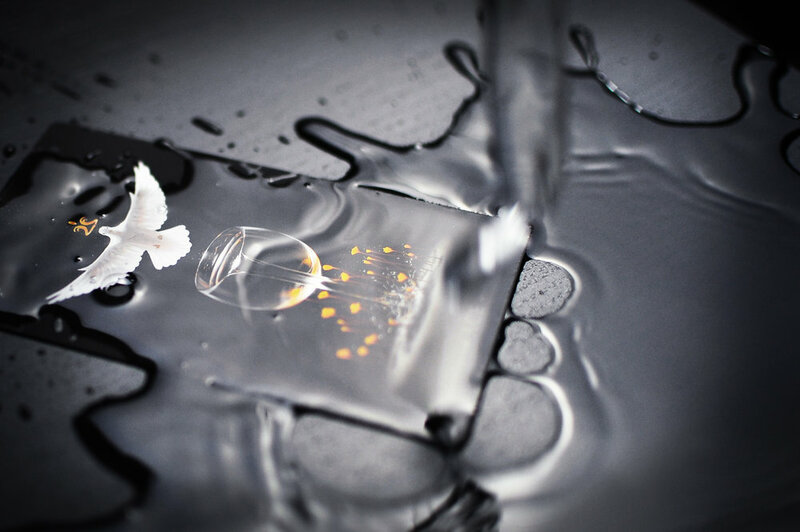 In addition to being rugged and scratch resistant, each card is splash resistant. Use it, love it, and fear nothing. Each card is printed on thick 18pt stock, resulting in a substantial and solid feel unrivaled by any deck, and 50% thicker than a standard RWS deck. 79 beautifully illustrated cards are housed in a foil-stamped book-style magnetic box. Exacting and robustly constructed, it will be a statement piece in and of itself, featuring a seamless starmap that stretches from front to spine to back. 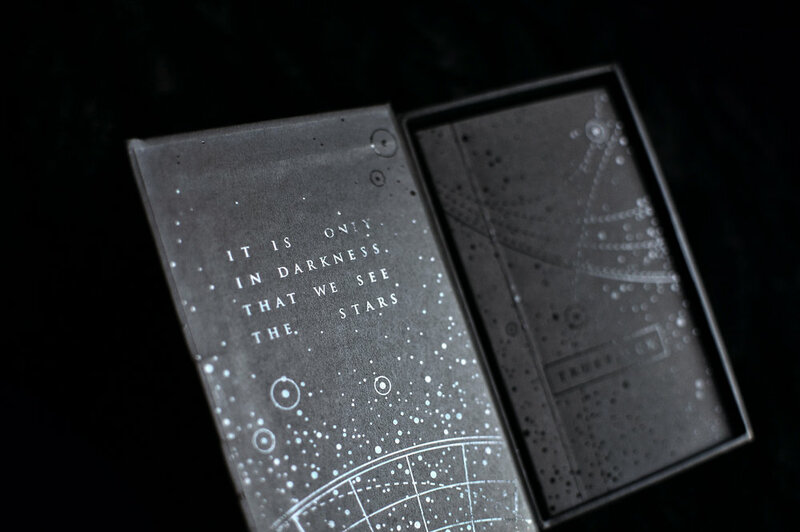 A starmap theme continues around the box, wrapping into the inside cover and extending to the guide booklet. In an effort to give back to the world and communities that helped make TrueBlack possible, 75% of profits made on every October 17th will be donated to worldwide humanitarian efforts and LGBT youth crisis prevention in the United States. Fun(ded) Day, October 17th, marks the day TrueBlack was successfully funded on Kickstarter. I promise not to spam you or sell your information. To be honest, I wouldn't know how to sell your information if I tried.